Thanks for visiting! Hopefully, you'll find this a resource that you can regularly use. Look around and see what there is to offer. This is a progressive website. Resources will be added continually as they're discovered. Contact us if you have any suggestions for this site! Some things are frequently requested, and we try to constantly update our collection of tutorials. 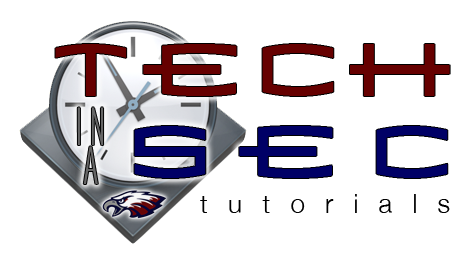 Either check out the Tutorials menu item above or our Tech in a Sec page.